Getting replacement windows in Westchester can introduce you to a whole new world with its own special jargon. However, as you search for a replacement product, it is good for you to learn a bit about the special language surrounding windows. What type of phrases should you expect when you shop at The Door Store? 1. Condensation Resistance: This rating is linked to the likelihood that condensation will form on the inside pane of a window. The scale maxes out at 100, and the higher the number the better the resistance. 2. Air Leakage: This rating looks at how much air leaks through the window from both the inside and outside. The lower the number the better the rating is. 3. Shading Coefficient: This rating look as how much heat can transfer through the glazing on a particular product. When a window is efficient, the number will be lower. 4. Air Chambers: Small, honeycomb-like spaces of air between the frame and sash can help increase the insulation capabilities and strength of a product. 5. Visible Transmittance: This rating calculates how much light is able to pass through the glass of replacement windows in Westchester. Higher numbers show that more natural light will be let into the home. 6. Spectrally Selective Coating: This special coating allows visible light to pass through a window while blocking the more dangerous infrared rays. 7. 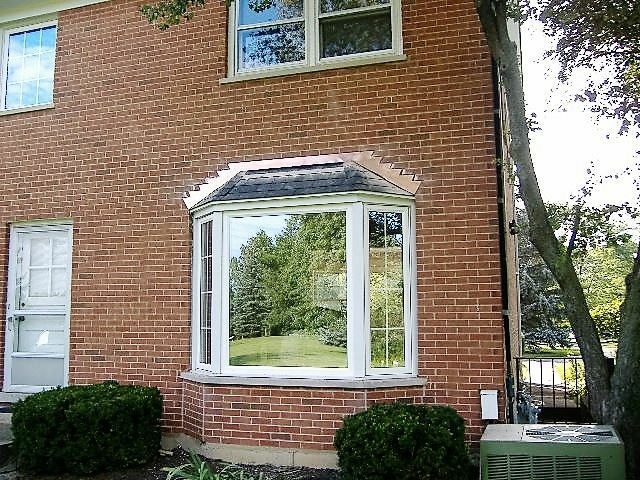 Gas-Filled Window: A product with this classification can be either a double- or triple-pane. It simply refers to the fact that there is some type of gas, usually argon or krypton, between the panes to add extra insulation. 8. National Fenestration Ratings Council Label: The NFRC label has key efficiency ratings, like U-value, solar heat gain coefficient and visible transmittance. By rating windows from various manufacturers, consumers can better understand the pros and cons of each product. Have you heard other strange words associated with finding replacement windows near Westchester? You do not have to wonder what certain lingo means when you shop at The Door Store, because you can simply ask one of the helpful associates.